Victory Creek is a popular residential development built by A Victory Home located at Chennai. 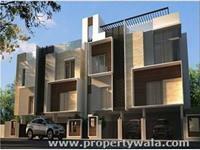 The project offers 4 BHK apartments with necessary amenities. A Vicory Home plots and homes are the hub of happiness, township that takes you beyond luxuries. We are specializing in sales of Housing Plots / Flats / Apartments. The Company is run by experienced Professional Team, supported by a team of skilled and dedicated employees thus making property buying quick, simple and easy. Have a good knowledge of Victory Creek? Share it and become a Project expert.